High output continuous-duty oil-free rocking piston air compressors by Aquatic Systems are an industry standard in clean air for pond and lake aeration. These compressors are replacements for the Vertex Aeration Systems or can be used as stand-alone air pumps if your application is appropriate. If you have questions please contact us prior to ordering. 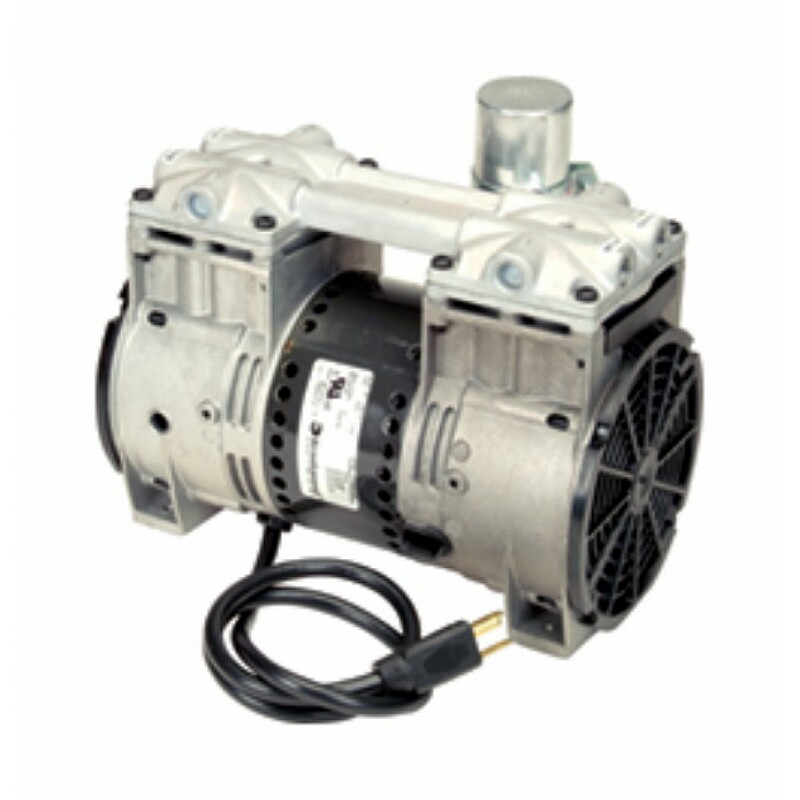 Of you are purchasing a Brookwood compressor to retrofit or repair your Vertex Aeration system then these are authentic and authroized pumps exclusive to the manufacturer. *Note: Outlet hose is not included. Compressor outlet is 1/4" FPT. 115v - 4.4 amps approx. 115v - 7.8 amps approx. 230v - 3.9 amps approx. 115v - 8.8 amps approx. 230v - 4.9 amps approx. Built for continuous 24/7 operation and equipped with Vertex SafeStartTM technology allowing auto restart under maximum rated pressure without motor damage. Super-duty BrookwoodTM compressors incorporate upgraded rotors, stators, valve plates, bearings and capacitors and are thermally protected, oil-free, and require no lubrication; just periodic cleaning of included washable air filter. Extended duty cycle is approximately 2 to 3 years for compressor maintenance, about 2 to 3 times the duty cycle of ordinary piston and rotary vane compressors. All BrookwoodTM SafeStartTM compressors carry a 2-year warranty.